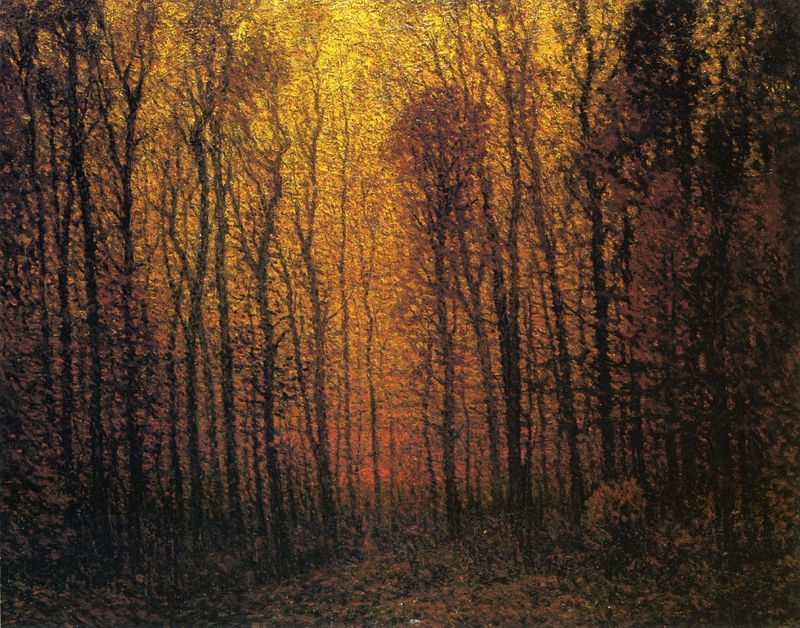 Deep Woods in Fall, undated oil on canvas by American artist John Joseph Enneking (1841 - 1916). Image courtesy of The Athenaeum. 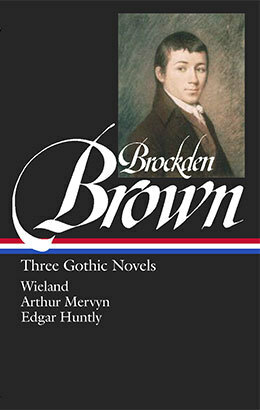 The son of a Philadelphia merchant, Brown was by all accounts a precocious student, writing poetry and essays for newspapers and magazines, becoming an apprentice for a lawyer, and cofounding first a literary organization called the Belles Lettres Club and then the intriguingly named Society for the Attainment of Useful Knowledge—all before he reached the age of twenty. He eventually abandoned his legal studies to embark on a literary career, and between 1798 and 1801 he published six novels—or seven, if one includes Memoirs of Stephen Calvert, serialized over a one-year period and abruptly abandoned. Now thirty years old, Brown fell in love, married in 1804, ended his short-lived tenure as a novelist, and spent the last decade of his life as founding editor (and, sometimes, sole contributor) of three consecutive literary journals. He also wrote numerous anti-Jeffersonian political tracts, as well as several essays on women’s rights. He died of tuberculosis at the age of thirty-nine in 1810. [The following fragment will require no other preface or commentary than an extract from the Vienna Gazette of June 14, 1784. “At Great Glogau, in Silesia, the attention of physicians, and of the people, has been excited by the case of a young man, whose behaviour indicates perfect health in all respects but one. . . .” If you don't see the full selection below, click here (PDF) or click here (Google Docs) to read it—free!